Before being introduced to the Camino de Santiago, Kevin had thought that multi-day hiking was an activity of his past. However, reading and talking with others about the Camino convinced him that he was not too old to attempt it! In 2009, Kevin and his wife walked from St Jean Pied de Port to Santiago de Compostela, taking 40 days on the Camino Frances. Like many other pilgrims, he has been drawn back many times, and in 2011 walked from Granada, via the Camino Mozárabe, the Via de la Plata and the Camino Sanabrés. 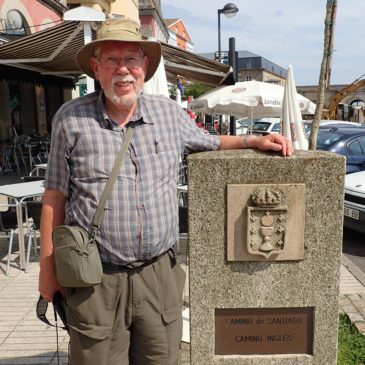 He has also walked most of the Camino del Norte, and in 2015 walked the Camino Inglés. On finding that the route from Granada is not as well documented as the Camino Frances, Kevin used resources on the Internet to produce maps of the other routes and has written notes of his walks.